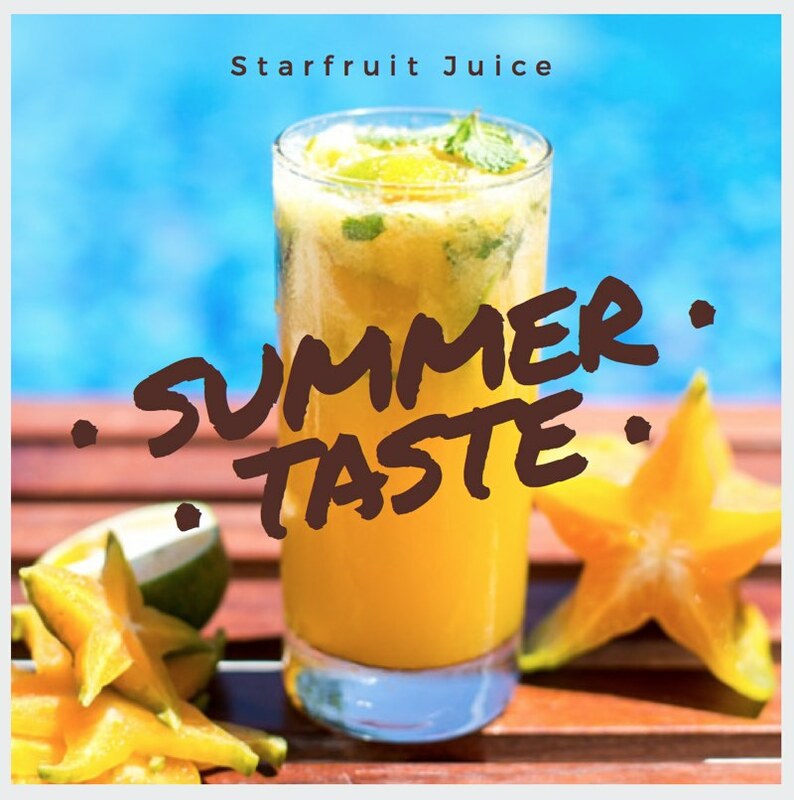 Starfruit, also known as carambola, is a sweet and sour exotic fruit in a star shape. 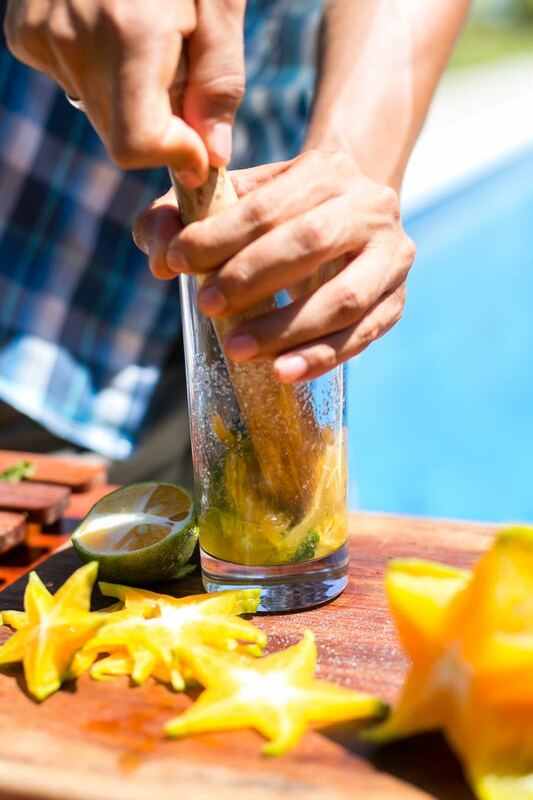 It’s not only tasty but its health benefits make it one of the best tropical fruits on the market. 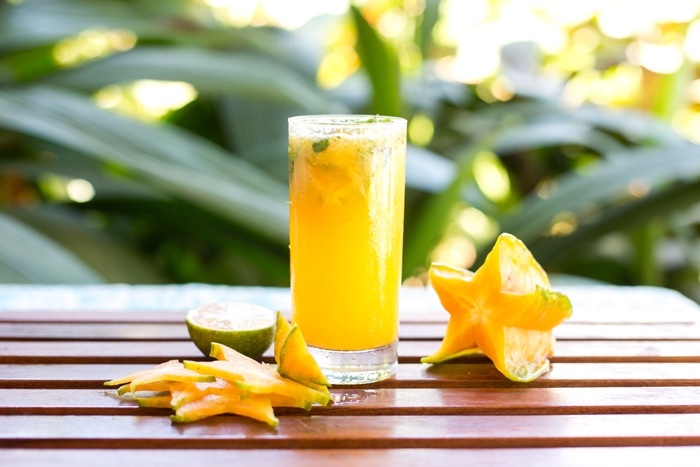 Good news, we have 3 starfruit trees at Blue Osa to refresh your days with star fruit juices or desserts. 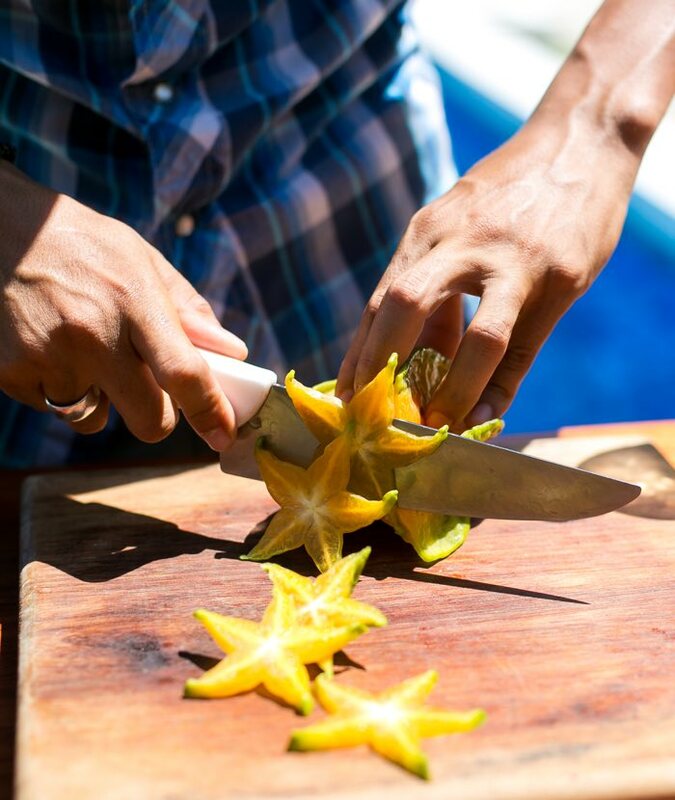 Trim off the ends of star fruits, chop the rest and put into a blender or just muddle really well. Pour fresh water and blend it all until smooth. Add mint and cilantro leaves. Add cinnamon to taste and blend or muddle for another second. 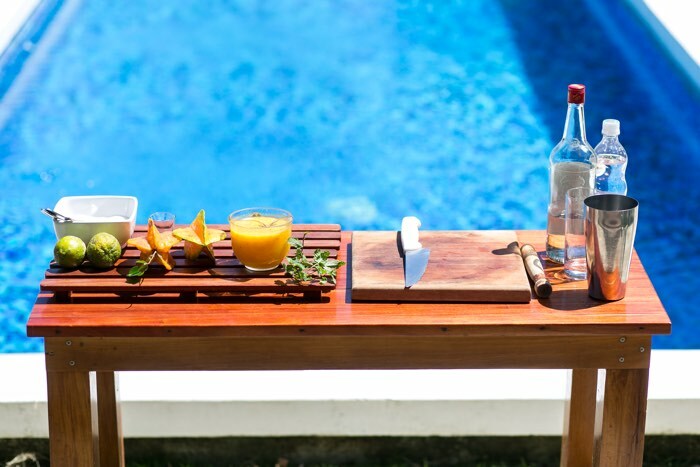 And for those cocktail lovers, check out how to make Blue Osa’s signature Starfruit Cocktail! I have a starfruit tree and the fruit just falls to the ground for the birds and bugs. So when I saw the starfruit jam, I was very happy. Then I went further to the juice. It looks good, but what is and where do I get the hieerbabuena plant. ?